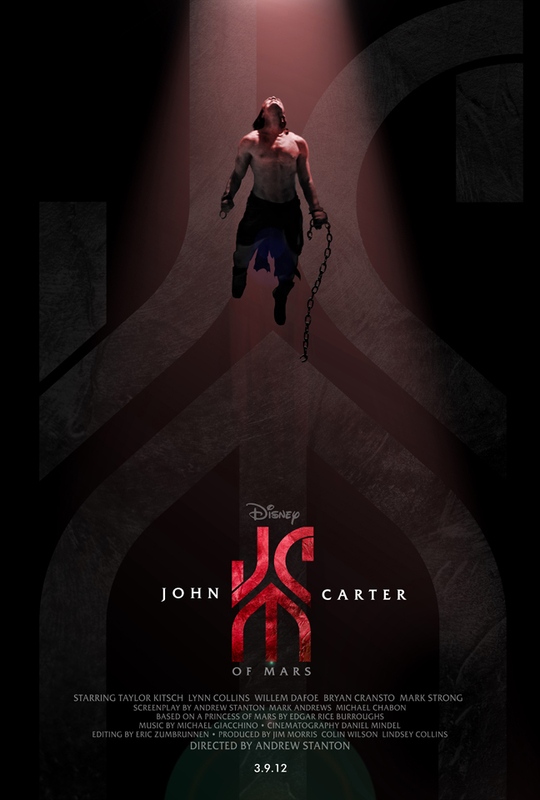 Earlier we shared an impressive fan-made trailer for Disney's John Carter, and now we have a fan made poster from Hopko Designs. Andrew Stanton directing this sci-fi epic adventure based on Edgar Rice Burroughs' novels. I have been interested in seeing this film since it was first announced, and am looking forward to seeing it when it is released in theaters. What do you think of the poster? Do you think that John Carter will live up to the marketing hype?